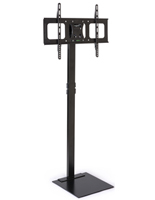 These flat panel monitor stands are seen at trade shows and conventions. The LCD mounts are very easy to set up and use and they also come with a convenient carrying bag. 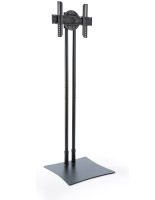 These monitor stands are a unique and stylish way to hang a television for customer viewing. Trade shows vendors can use these LCD mounts to hang a television that focuses on the product or service being featured in the booth. 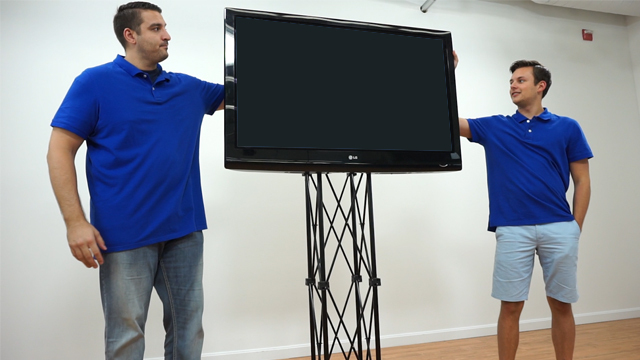 The portable monitor stands will stop customers in their tracks because they want to see the interesting way the TV is hung. People will hopefully stay to watch the television or to talk to you about your product. 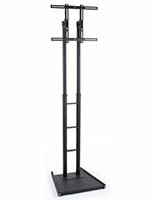 These monitor stands, such as LCD mounts, are able to hold 42" TVs and include all the hardware for mounting. The plasma displays will not hold a television to is over 80 pounds. 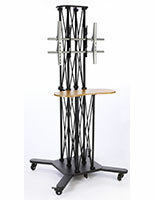 These commercial monitor stands are easy to set up and use. 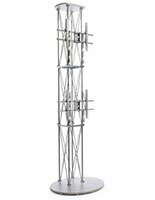 The LCD mounts have 3 sets of aluminum truss poles that screw into each other and then attach to a wooden base. 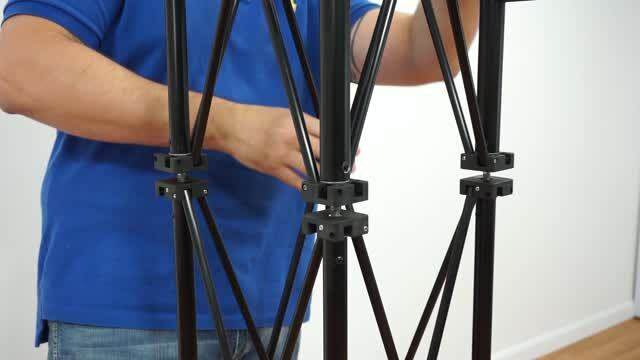 The monitor stands have 7 rubberized feet to help keep it stable on a carpeted floor. 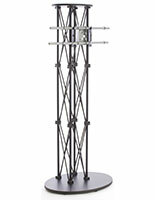 The LCD truss mounts stand 74-1/4" tall and are 31-1/2" wide x 23-3/4" deep. 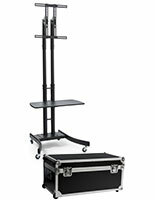 The monitor stands collapse into small units and fit, along with the base and TV bracket, into the provided carrying bag. 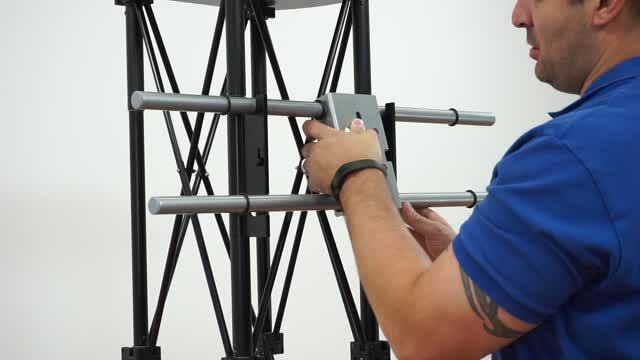 The entire plasma displays assemble in a mere minutes with really no tools required. 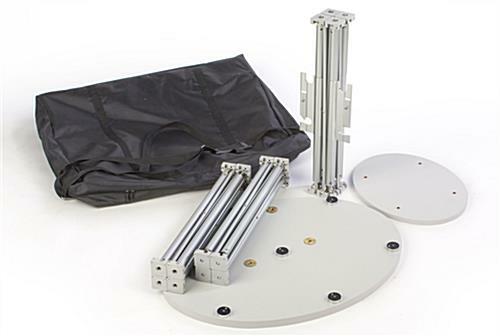 Plasma mounts, monitor stands disassemble and fit into the carrying case. 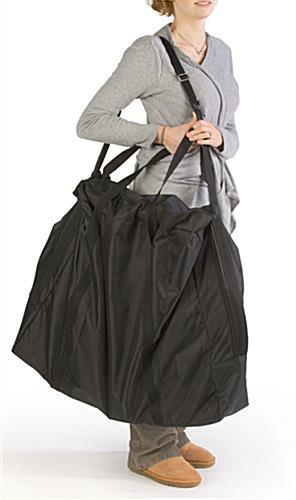 The lightweight unit only weighs about 34 pounds when placed into the bag and can be easily transported to the next event. 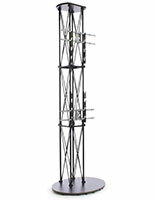 *Please Note: Due to its design, the VESA LG bracket will not accept a 300mm horizontal television.